In the wake of the horrific Grenfell tragedy, the spotlight is on fire safety more than ever before. The latest call from fire safety experts is to rethink the policy on fire sprinklers in our schools. Currently, sprinklers are mandatory in new school buildings in Scotland and Wales, but not in England and Northern Ireland. In a recent report by the BBC, National Fire Chiefs are calling for that to change. London Fire Brigade Commissioner, Dany Cotton, accuses the government of “playing with children’s lives.” According to the BBC report, there are around 700 school fires every year. In the aftermath of the Grenfell Tower fire, the government made an abrupt U-turn and the revised draft guidance was removed from the DfE website. Current guidance states that the DfE expects all new schools will have sprinklers fitted, unless a school is ‘low risk’ and installation ‘would not be good value for money.’ But, fire safety experts argue these guidelines aren’t going far enough. The NFCC argue that the impact of a fire on a school is significant, and that fire has a devastating impact on children’s education. They also believe if sprinklers were installed in new builds and during refurbishment of existing buildings, costs would be kept to a minimum. According to UK fire statistics, in England alone there were 686 fires in schools in 2016/17. In a report on sprinklers in schools, the NFCC refer to figures produced by the Association of British Insurers, which say the most expensive school fires typically cost around £2.8 million to address. Over the last four years there have been around 24 large loss school fires every year, totalling a cost of £67.2 million per year. 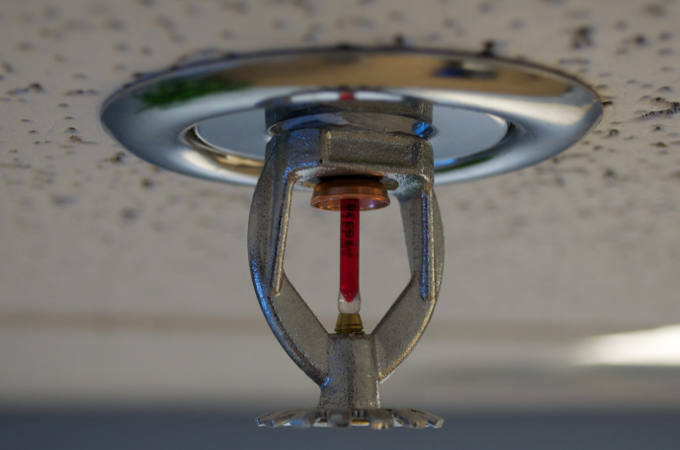 The NFCC, along with many other fire safety experts, argue that fire sprinklers are an effective part of overall fire safety. They save lives, reduce injuries, protect firefighters, and reduce the amount of damage caused by fire. The evidence really does put the cost of installing and retrofitting fire sprinkler systems into perspective. If we are serious about saving lives, we need sensible long-term strategies for fire safety, not short-term cost cutting. Our children deserve better.